TLJ News: April 26-30, 2013. 4/30. President Obama announced his intent to nominate Colin Bruce to be a Judge of the U.S. District Court (CDIll), and Sara Lee Ellis and Andrea Wood to be Judges of the U.S. District Court (NDIll). See, White House news office release. 4/26. Rep. Lamar Smith (R-TX) and others introduced HR 1772 [LOC | WW | PDF], the "Legal Workforce Act", a bill that would make participation in the government's E-Verify program mandatory. Employer participation in the E-Verify program is currently voluntary. This bill, like similar bills in the 112th Congress, would make participation mandatory. The 112th Congress considered HR 2164 [LOC | WW] and the superseding HR 2885 [LOC | WW], both titled the "Legal Workforce Act". See, story titled "Rep. Smith Introduces Bill to Mandate Use of Government Databases to Determine Employment Eligibility" in TLJ Daily E-Mail Alert No. 2,300, September 13, 2012. The House Judiciary Committee (HJC) amended and approved HR 2885 on September 22, 2012. However, neither of the other committees with jurisdiction -- the House Ways and Means Committee (HWMC) and House Education and Workforce Committee (HEWC) -- passed that bill. 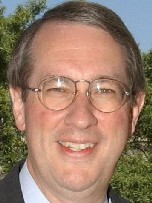 The just introduced bill is cosponsored Rep. Bob Goodlatte (R-VA), the Chairman of the HJC. This bill has been referred to the same three committees -- HJC, HWMC, and HEWC. Rep. Goodlatte (at right) stated in a release that "One way to make sure we discourage illegal immigration in the future is to expand the use of E-Verify across the country. This web-based program is a reliable and fast way for employers to check the work eligibility of newly hired employees. The Legal Workforce Act builds on E-Verify’s success and makes a promise to the American people that it can deliver. By expanding E-Verify, it will be much more difficult for people to work illegally in the U.S. and will consequently help stop illegal immigration." The E-Verify program is an information technology (IT) based national identification system that is based upon accessing electronic databases that include names and social security numbers (SSNs). One of the purposes of this program is to transfer responsibility for enforcing immigration law to employers. This bill is premised upon the assumptions that the government is capable of creating an IT based system that can enable employers to ascertain whether job applicants are eligible to be employed in the US, and that by effectively preventing ineligible persons from working, aliens will have little incentive to illegally enter into or stay in the US. The HJC received testimony in the 112th Congress that the E-Verify program is error prone. Eligible workers are falsely not confirmed as eligible. Ineligible workers are falsely confirmed as eligible. See for example, February 10, 2011, prepared testimony [PDF] of Richard Stana of the Government Accountability Office (GAO). Go to News from April 21-25, 2013.